You are here: Home / Obituaries / Alden F. Wagner, Jr.
Alden F. Wagner, Jr., 82, passed away on January 23, 2013 at the Glen of Willow Valley Retirement Community in Lancaster, PA.
Born in Kinston, PA on June 15, 1930, he was the son of Alden and Mildred Wagner. He graduated from BucknellUniversity with a degree in Mechanical Engineering. He served his country during the Korean War with the US Navy. He worked for PP&L for many years and retired as a VP of the Lancaster Division. He was a member of the Willow Street Lions Club and the First United Methodist Church in Lancaster. He is survived by his wife, Elsie, two sons, Paul and wife Martha, Mark and wife Laurie, two grand daughters Ruby and Zoe, and a sister, Carole Sparkman. In lieu of flowers, memorial contributions may be made to the Willow Street Lions Club at P. O. Box 26, Willow Street, PA 17584. 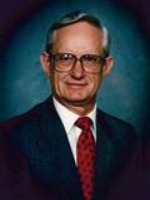 Offer Condolence for the family of Alden F. Wagner, Jr.
We are saddened by the news that Al passed away. Doug remembers first meeting him at the Montour power plant where they worked so well together. Then we met again in Allentown. Al was a fantastic man with a great personality and terrific work ethic. He was a GOOD man in every way. We’re sure that his loss will be felt throughout your community and Church. We offer our condolences, thoughts and prayers for you and your family. Elsie and family – my condolences on the passing of Al. I came to Holtwood in 1986 at the Land Management office on top of the hill, reporting to the Real Estate Department at that time. While I did not report to Al, he was very helpful and supportive to me in my work handling the land, water and public items outside the power plant. I also remember Al involved as a member of the Holtwood Public Advisory Committee after he retired. Al had a great knowledge of Holtwood and I always respected his knowledge and judgment. Our sincere sympathy toyou. We have wonderful memories of time spent together when we were all slightly younger. Alden was a very special man and accomplished many things especially being a wonderful family man.